It’s Wednesday again! (Actually, I just realized that it’s only Tuesday and that I only THOUGHT it was Wednesday. So this post is a day early but please enjoy!) 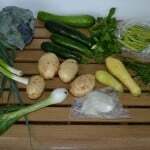 My husband again went to the farmer’s market to get our share from Goodness Grows. I can’t wait until school is out for the summer so I can start going! 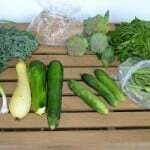 I miss seeing all those beautiful fruits and vegetables. 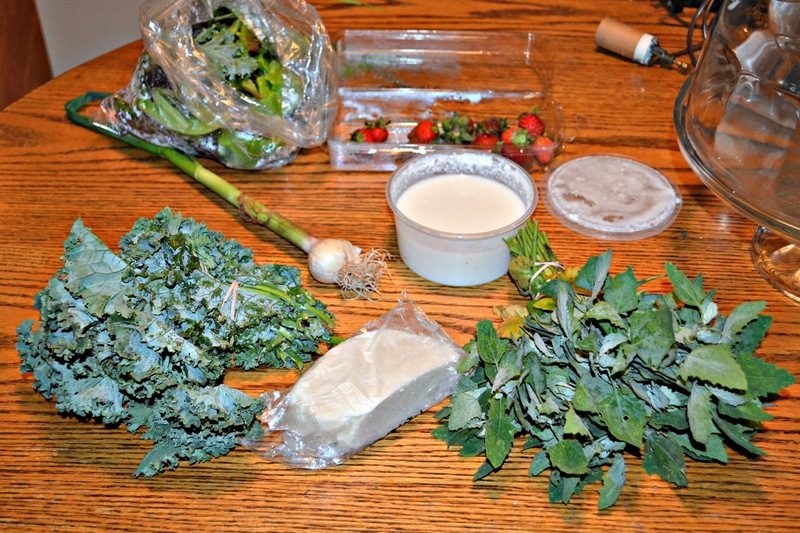 This week in our CSA share we received a bag of mixed greens, a bag of spinach, beets, garlic, paneer, yogurt, strawberries, and basil. 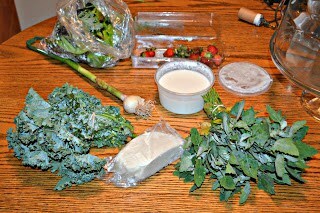 I was particularly excited about the paneer because I’ve been wanting to cook with that for a while. Before I get to that let me share what I made with the rest. I used the strawberries in a strawberry pie I was making. 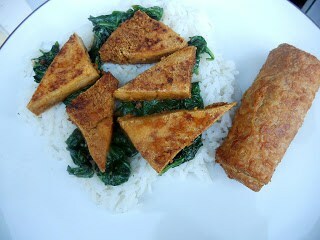 Then we used the spinach in our favorite tofu dish; Chili Lime Tofu with Sauteed Spinach. We used the yogurt in an onion dip. 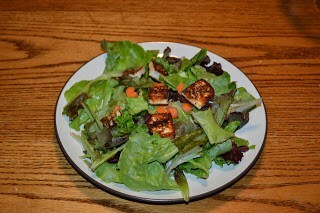 Then I fried the paneer with some of the garlic and other spiced and we served it on top of the mixed greens tossed with some of the basil. It was delicious. I actually heard one of my Indian students talking about eating it this way and I looked up several recipes for it before making it my own way. 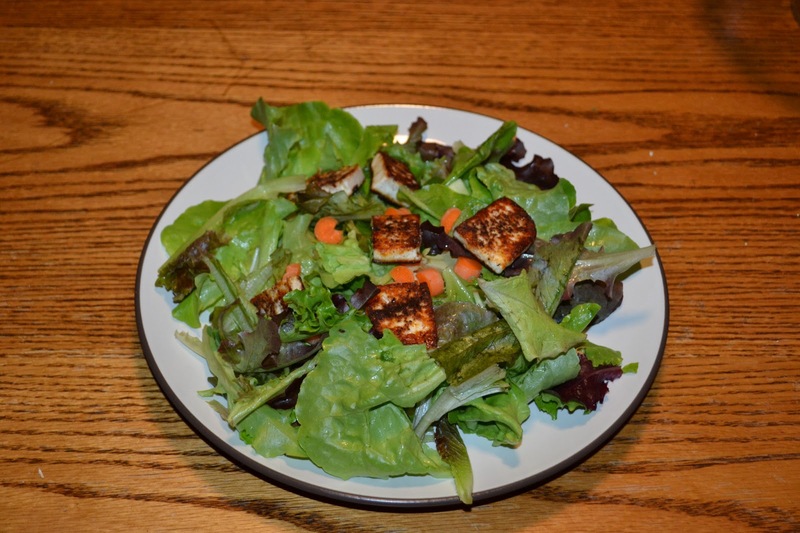 Neither my husband or I had ever had paneer before but we thought it was delicious on top of the salad. 1. 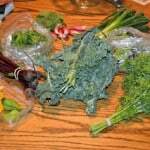 In a large bowl toss the mixed greens, carrots, pepper, and basil. Divide between two plates and set aside. 2. Slice the paneer into 1/4 inch thick slices. In a small bowl combine the garam masala, black pepper, and salt. 3. 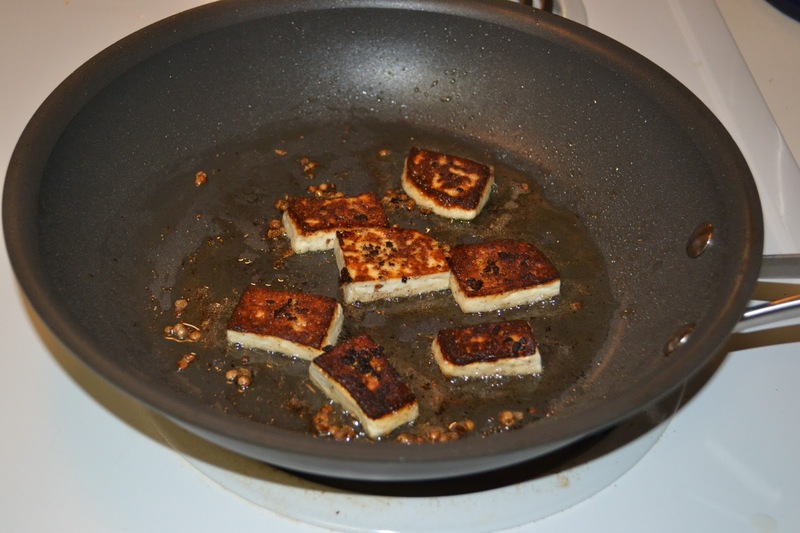 Gently rub each piece of paneer with the minced garlic then sprinkle with the garam masala mixture. 4. Heat the olive oil in a medium skillet over medium high heat. Add in the paneer and cook for 4-5 minutes or until it is a deep golden brown. Flip it over and cook for 2-3 minutes or until the underside is golden. Remove and drain on a paper towel lined plate. 5. 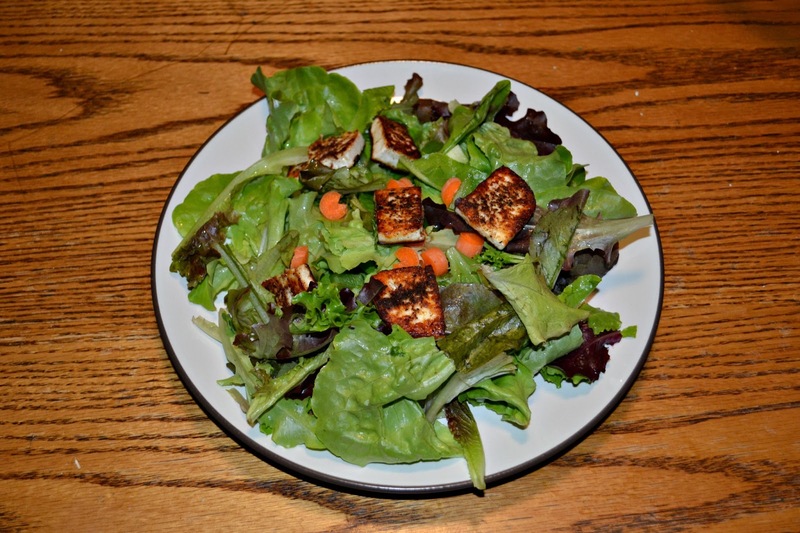 Divide the paneer between the two salads and top with balsamic vinaigrette. I don’t think I’ve ever had paneer either. 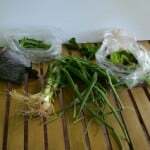 Your recipe sounds delicious and something that I need to try soon! The only time I’ve had paneer in my kitchen is when I’m making saag paneer… I love that there is another recipe to use it in! Thanks for sharing!